1 Who is Cara Buono? 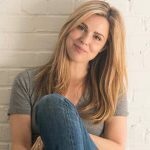 Cara Buono was born in The Bronx, New York City, USA, on 1 March 1971, and is an actress, best known for her roles in popular television series such as “Mad Men” in which she played Dr. Faye Miller, and “Stranger Things” in which she appeared as Karen Wheeler. She’s also worked on various films throughout her career. How rich is Cara Buono? As of early-2019, sources inform us of a net worth that is at $4 million, earned through a successful career in acting. She’s been active in the industry since 1989 and has been nominated numerous times thanks to her performances. As she continues her endeavors, it is expected that her wealth will also continue to increase. Cara is of Italian descent, and grew up with two brothers and a sister, raised in The Bronx in a blue-collar family. She attended Fiorello H. LaGuardia High School, and after matriculating enrolled at Columbia University, completing a double major in English and political science in three years, after which she proceeded to pursue a career in acting. She made her acting debut in the play “Spook House”, and over the next few years continued working off-Broadway as well as Broadway productions. In 1992, she made her film debut in “Waterland”, a mystery film based on the 1983 Graham Swift novel of the same name, and starring Jeremy Irons and Ethan Hawke. She also became involved in various independent film projects, including the comedy film “Chutney Popcorn” which follows a young lesbian’s sexual and national identity struggle, plus other projects such as “Happy Accidents” and “Next Stop Wonderland”. In 1999, Buono had a small role in the television movie entitled “Deep in My Heart”, which is based on a true story, and starring Anne Bancroft. Aside from acting, she also forayed into production, writing and directing projects, working on the short film “Baggage” which starred Liv Schreiber, and co-writing the screenplay for “When the Cat’s Away”, plus a screenplay adaptation of “This Side of Paradise”. During the final season of “Third Watch”, she had a starring role as the paramedic Grace Foster. In 2003 she appeared in the film “Hulk”, which is based on the Marvel Comics character of the same name, playing the mother of the character Bruce Banner whose alter ego is the Hulk. She was also cast during the final season of “The Sopranos”, as the wife of Christopher Moltisanti, Kelli, which aired from 2006 to 2007. She then appeared in the fourth season of the show “Mad Men”, a performance which earned her an Emmy nomination for Outstanding Guest Actress in a Drama Series. In 2010, Cara was cast in the film “Let Me In” starring Chloe Grace Moretz, based on the Swedish film “Let the Right One In” about a 12 year old boy who is often bullied, and befriends a female child vampire. The film is set in the 1980s and won numerous awards, attracting high praise from critics, although some stated that the film was too derivative of the original film. In 2016, she was cast in one of her most notable roles, in the Netflix series entitled “Stranger Things”, starring alongside Winona Ryder, David Harbour, Millie Bobby Brown, and many others. It is set in a fictional town of Hawkins, Indiana during the 1980s, and focuses on the investigation of a young boy amidst supernatural events occurring in the town. The show proved highly successful and received praise for its use of pop culture of the decade, winning numerous awards including the Screen Actors Guild Award for Outstanding Performance by an Ensemble in a Drama Series. The show was commissioned for a second season which is set one year later, dealing with the characters’ attempts to return to a normal life. A third season is set to be released late in 2019, and is in production. For her personal life, it is known that Buono is married to Peter Thum, an entrepreneur best known for creating the company Ethos Water. The company’s aim is to sell water, with proceeds supporting hygiene, water, and sanitation programs around the world. The company was later acquired by Starbucks and has contributed more than $6 million to programs since its acquisition. The couple have a daughter, and reside in Greenwich Village in New York City. Similar to numerous actresses, she is active online through an account on the social media website Twitter. She mainly uses the platform to promote some of her advocacies, while also showcasing her recent and upcoming projects. She also has an Instagram account on which she posts a few photos and videos of her alongside her family, and also pictures of her while doing charity work and appearing at events. She does promotions for her shows like “Stranger Things”, with several of her fellow cast members, and can often also be seen involved in various outdoor activities.